BetterVue excellent visibility insect screening is engineered to provide a sharp view without sacrificing strength and durability in the process. Phifer designed a square mesh for optical clarity and chose the .008 core yarn to reduce the risk of damage. Although a 1mm smaller yarn diamenter was considered in research and development, the risk of field failure and product liability was higher, and no gain was found in visibility. The human eye cannot easily distinguish the difference of 1mm, so no part of the improved view has been forfeited in favor of material strenght and durability. We carry only Phifer Insect Screen and Sun Control Products. Phifer is the world leader in fiberglass, Aluminum and extruded vinyl coated polyester screening. BetterVue is Phifers first improved visibility insect screen for windows, doors, patios and porches. This screening product does for windows, doors and patios what high-definition technology has done for television viewing: it maximizes the view by making it sharper and more brilliant. BetterVue is Phifers first excellent visibility insect screen for windows, doors and porches. This screening product does for windows and doors what high-definition technology has done for television viewing: it maximizes the view by making it sharper and more brilliant. BetterVue is easily installed in window screens and doors. 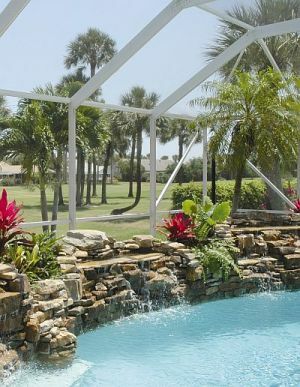 BetterVue is great for pool and patio enclosures to keep bugs out while maintaining the highest visibility. Insect Control: Light and air pass through but not the bugs. BetterVue is Outstanding for keeping bugs out while allowing fresh air to pass through. BetterVue comes in 24", 30", 36", 48", 60", 72", 84, 96" & 108" widths . Roll lengths come standard in 50', 100' and 600' Rolls.